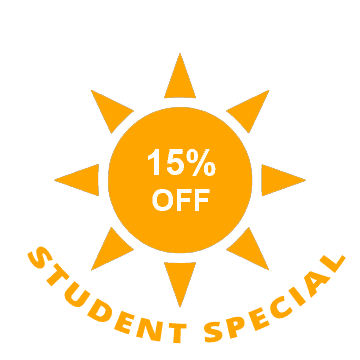 If you attend high school, college or university, then you can show your photo I.D to receive an 15% discount. This year we are also extending the 15% discount on your first tanning lotion as well, if it’s purchased at the same time as your tanning package. * New clients only and for first package. Not applicable towards single sessions. Taxes are extra. • Must be 18 years of age or older with valid photo I.D.